WW'11-15, EW'13, INT CH, IT Ch. F, HR, Swiss Ch., 2x RCICh. WW-06, ENG SH Ch., IT Ch. AM Ch., INT Ch., FI/EE/RUS Ch. LUX, NL, PL, GE, INT, GB Ch. 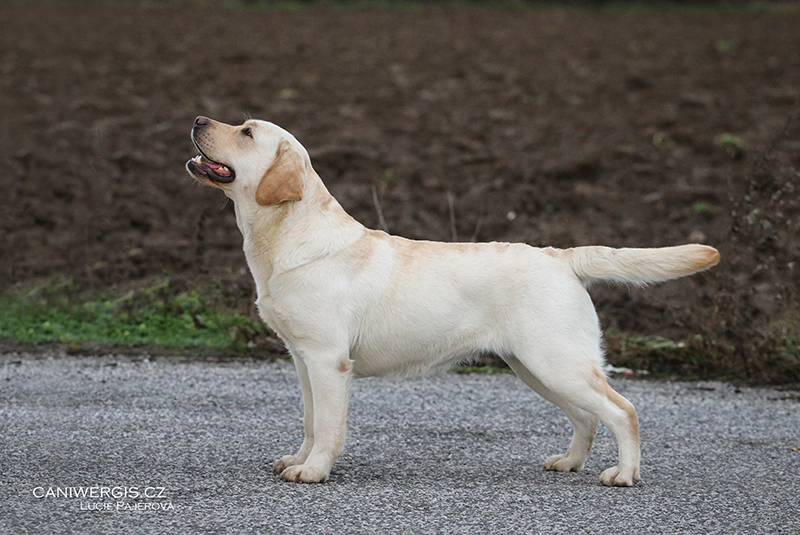 Grand father of puppies Loch Mor Romeo. 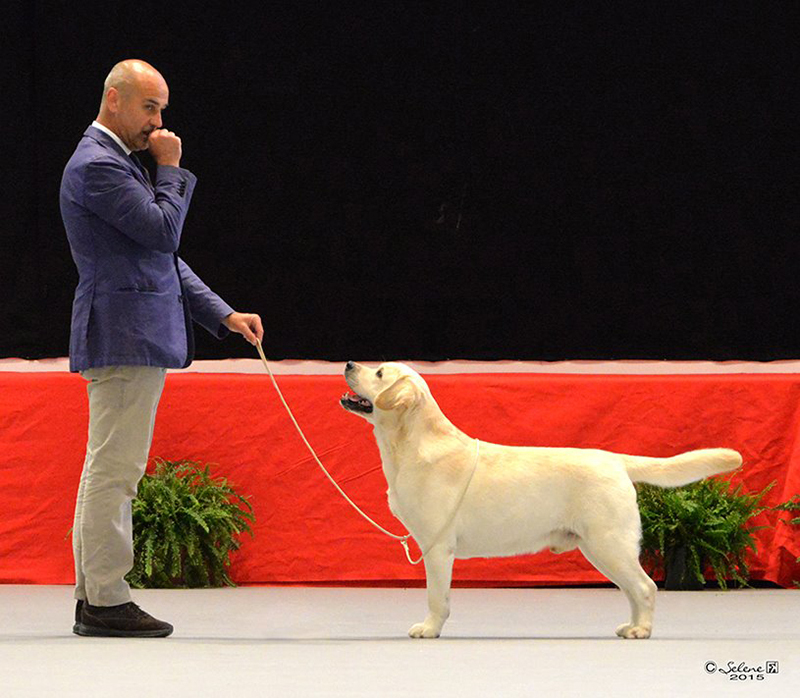 World winner Paris 2011, Salzburg 2012, Budapest 2013, Helsinki 2014, Milan 2015. 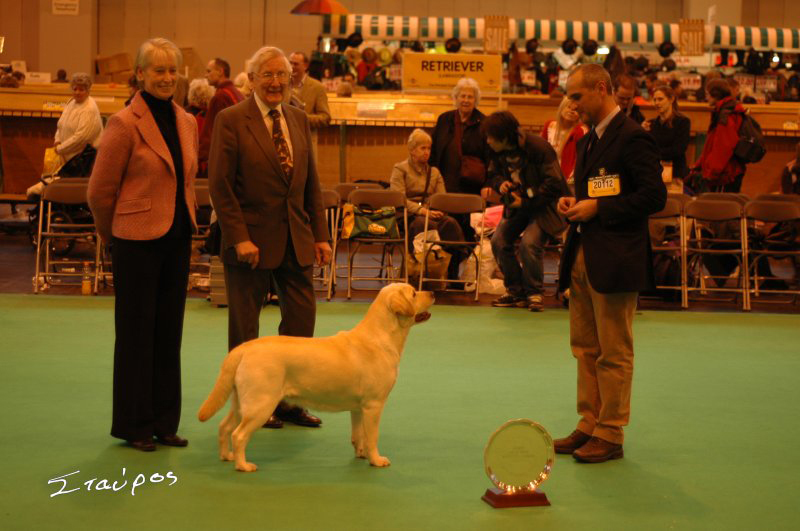 Romeo also won 2x BOB at Cruft’s and as a first Labrador in history of breed he also won title res. BEST IN SHOW Cruft’s 2014! 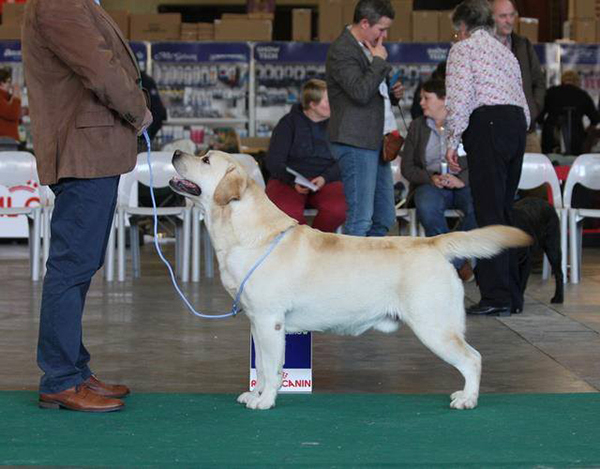 Romeo’s mother: Loch Mor Sugar became World winner 2006. She is also Show Champion UK. Puppies will be EIC, PRA and HNPK clear by parents! Our pedigrees must be one of a kind – unique pedigrees. Over all vitality, mental soundness and the classical look is what we are aiming for. We have followed these principles in breeding almost 20 years. All our puppies are the result of free easy whelping. Only A class puppies will be available for showing or breeding purposes. If we find any failures or weakness from our puppies since they are born they are automatically pets and they are never used for breeding. Each and every litter is an important part of bigger breeding plan. We breed all dogs for our own breeding, showing and personal reasons. Every now and then some individuals may be available for serious show or pet homes. We can also co-own some dogs. If you are seriously interested of being part of our “family”, you are very welcome to contact us. Do remember. All of our dogs MUST BE much loved and trained gently for perfection. Serious homes must offer lot of tender loving care no matter if the individual is top winning show dog or pet. In any additional questions you can also email us: katarinasmekalova1@gmail.com.